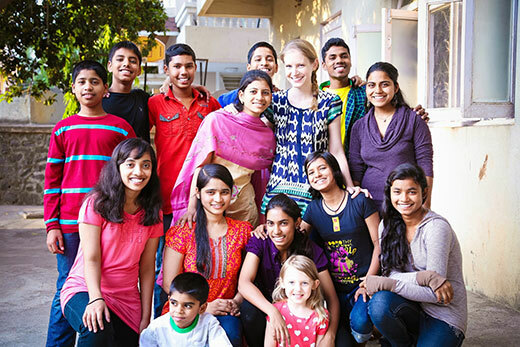 Elizabeth Sholtys, a 2007 graduate of Emory College of Arts and Sciences, is director and co-founder of the Ashraya Initiative for Children, which serves street children and marginalized communities in Pune, India. The director of an initiative to serve street children and marginalized communities in India. The recipient of a $10 million grant “to reinvent the American high school.” A microbiologist focused on public health and influenza. A professor and advocate for minority scientists. These are just four of the exceptional Emory alumni honored in this year’s class of 40 Under Forty. Alumni from around the world and across industries were nominated for the Emory Alumni Association’s second-annual celebration of Emory’s younger graduates. The selection committees culled through hundreds of nominees’ files, including journalists, technological innovators, social justice pioneers and scientists. Choices were tough. Year after year, Emory graduates insightful leaders who forge partnerships, solve problems, blaze trails and serve their communities wherever they may be. The criteria for the award include significant impact in business, research, the arts, and community, educational or philanthropic endeavors.